There’s a phenomenon afflicting many people that when they wake up in the morning, they feel as though they haven’t slept. How can you wake up tired? When you consider that the average person tosses and turns 37 – 40 times each night, it starts to make more sense. There are stages of sleep, and when the tossing and turning interrupts the stage called REM, rapid eye movement, then you typically will feel the loss of a deep, restful sleep. In the REM stage of sleep, your body and mind are active. This is the time of night when you dream, and this brain activity may account for bodily movements. Eventually, your brain should move through REM and into a deeper slumber. However, moving through REM occurs faster when your comfort level increases. If you reduce the number of times you toss and turn, then you enter deep sleep more quickly. Underneath it all, the fault may lie with the type of mattress you own. Some mattresses are too soft, pushing your joints out of alignment or allowing them to bend at odd angles. Other types may not offer support, and your body rests in ways that can cause muscles to seize, cramp, or “fall asleep.” These uncomfortable states of your joints and limbs will perpetuate REM restlessness, resulting in more tossing and turning. To truly have the comfort that will bring about a deep sleep and reduce the tossing and turning, you need an above average mattress. Luxury mattresses allow for better sleep, putting you beyond the average and gently maintaining the deeper sleep your body requires. The main difference between a luxury mattress and a standard one that causes sleep disruptions is the blend of advantages that come from a single luxury surface. Rather than a simple foam cover over some springs, a luxury mattress combines pillow-like softness with firm support, or thermo-regulated materials with deep cores of supportive materials beneath. There are technologies embedded into a luxury mattress that makes the combination of support and comfort ideal for deeply sleeping. 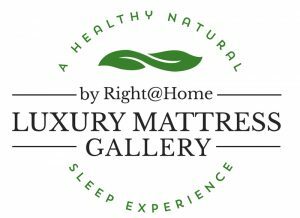 If you are sick and tired of waking up feeling as though you never went to bed, head immediately to Luxury Mattress Gallery in Altamonte Springs, Florida. We have luxury comfort mattresses to reduce restlessness and tossing so that you wake up feeling well rested. We can answer all your questions about the combinations of technology used in our luxury mattresses to find one that is right for you.